Casino Heroes Go live with Red Tiger Games - 28 New Slots! Casino Heroes sure is starting 2019 on the right note! In fact, the gamified casino wants to deliver more fun and more games to players. Indeed, only days after announcing that the company inked a new deal with Iron Dog Studio. They’re making the headlines again! 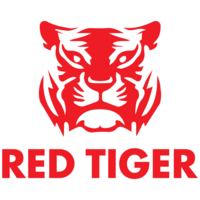 In fact, on 18th January, the company launched Red Tiger Gaming (RTG) Slots on their site and in many markets too. So let’s examine the deal into closer details and give you an overview of the best performing games that are now accessible on Casino Heroes. First, it’s important to point out that, in December, Casino Heroes announced the partnership. However, back then it appeared that the deal would only affect the Swedish market. But recently the company announced they completed the integration on their blog. And after checking their site, it appears that RTG Games are available in all markets the company operates in. Which means that RTG Slots are available in The UK, Canada and in Scandinavia to name a few. RTG is an emerging game studio. In fact, even if the company is in business for only five years there making a name for themselves for creating very volatile games. All and all, the studio has 28 slots under its belt. And perhaps the best games, in our opinion are Cinderella’s Ball, Rocket Men, and Tiki Fruits. Try them today and see what you make of them! Also, it’s worth knowing that LeoVegas and InstaCasino also distribute RTG’s games!